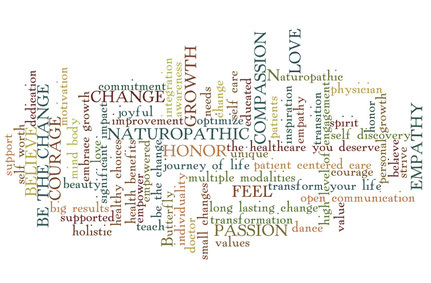 At Butterfly Naturopathic, we use an approach that considers the whole person, including mind, body, & spirit. This requires a higher level of patient engagement through open communication between doctor and patient, so that patients leave their appointments more educated, supported, & empowered. For this reason, all new patients complete a 60 minute Initial Comprehensive Assessment. ​*Dr. Wong treats patients over the age of 15 yrs. Those under 15 years of age can see him at Boucher Naturopathic Medical Clinic where he supervises clinic interns on Thurs & Sat. We start with a thorough case intake, going through your medical history, your diet, your sleep, your physical activity, & a review of your supplements and medications. We make sure all your health concerns are heard and considered. We do a physical assessment of your areas of concern and review your past laboratory and diagnostic testing. We create a customized treatment plan with you so that you are empowered towards achieving your health goals. 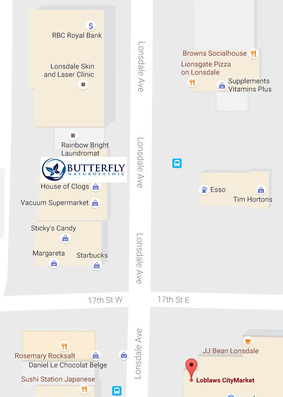 - Fill out the form & email it to info@butterflynaturopathic.com, 24hrs before your appointment. Apple Preview, as it is possible for the data to get corrupted when saving. - Complete the form and email it to us before your appointment. *If you are unable to sign this form electronically, a paper copy of this form is available for you to sign in the office. This daily record helps you keep track of what you are eating, and helps you to discover which, if any foods, medicines, beverages, or other substances may be causing or contributing to your symptoms. Recording what you eat is not meant to be stressful. The relationship between what you choose to eat and your symptoms can range from simple to complex. Some foods which may be linked to allergic reactions in the body can manifest quickly or be delayed. Simply write down what you eat for a few days before your appointment. Don't try to impress us by eating impeccably during this time. We just want to get a sense of your normal diet, so that we can create a plan with you for the betterment of your overall health. For your first appointment, please arrive a few mins early to sign informed consent forms. If you are having a physical medicine or acupuncture treatment, please wear comfortable clothing that allows the treatment area to be easily accessed. Our clinic is a scent free zone. For the consideration of others, please refrain from wearing perfumes, colognes, or other fragrances to your appointment. Please turn your phones on silent mode when in the office. For the consideration of others, please take any urgent calls outside of the office. To avoid cancellation charges, please remember to give at least 24hrs notice during business hours for any appointment changes or cancellations. We are on the west side of Lonsdale midway between Starbucks on 17th & The Royal Bank on 18th St.
We are kitty corner Loblaws City Market and a few doors North on Lonsdale. Enter at the street entrance and come up the stairs. Appointments may be cancelled with no charge any time up to 24 hours before the time of the appointment. Appointments missed without notice will be billed to the patient at one half of the cost of the scheduled appointment. Payment is due at the time of the patient consultation, when laboratory tests are ordered, and when prescribed medicines are delivered. Payment for special order medicines is due when they are ordered. We accept payment by cash, check, debit, Visa or Mastercard. Our office is unable to offer payment plans or credit. In case of a medical emergency, please contact your local emergency services by calling 911. Medicines dispensed by our office are returnable for a full refund only if they are returned unopened, with the receipt, within 15 days of purchase, and in condition to be resold. Homeopathic medicines are non-refundable. Notice of any cancellation or re‐scheduling must be given via phone during phone reception hours or changed from our online booking system with minimum 24 hours notice. ** Phone reception hours are listed on our website’s home page, located at the bottom of the page, and may be slightly different from our booking hours. Emails and voice messages are not an acceptable form of communicating cancellations or appointment changes. Failure to notify the clinic in less than 24 hours will result in a charge of 75% of your appointment fee and in the case of a scheduled treatment, the full cost of non‐reusable products prepared for that treatment. Patients arriving more than 15 minutes late will forfeit their appointment and will be charged full price plus the cost of any non‐reusable products prepared for that treatment. Patients failing to show up for their appointment will be charged full price plus the cost of any non‐reusable products prepared for that treatment. Direct Billing is available for a variety of Extended Health Providers. Patients are responsible for managing their own insurance limits. ​We do not guarantee coverage for any Extended Medical Plan. Patients are responsible for any amount not covered by their Extended Medical plans due immediately upon services rendered. Payment is due strictly at the time services are rendered. Dispensary items must be paid for in full before leaving the clinic.